Even though I was a seasoned traveler before babies, planning family travel is a whole different game. I had to learn to become an expert family vacation planner. 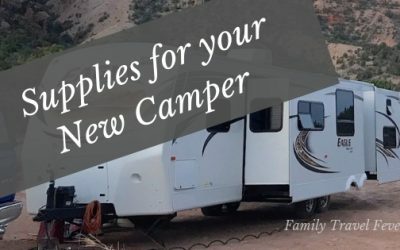 Just the logistics of moving a large family from one destination to the next is complicated – add flights and car rental and accommodation or RV road trip, campgrounds. Yikes! But the process can be smooth and you can have fantastic family vacations with this ultimate family vacation planner! Gone were the days of pick a location, buy a ticket, reserve a hotel and throw some stuff in a backpack. Family travel requires more planning, taking others into account. Seriously when I was in college, my Dad worked for the airlines and I didn’t even buy a ticket. My brother and I just showed up and the airport, list ourselves on the standby list and off we went. Sometimes calling home from a totally different location than we were supposed to be. Like when we got bumped off a flight to Tokyo and opted for Manila Philippines instead. 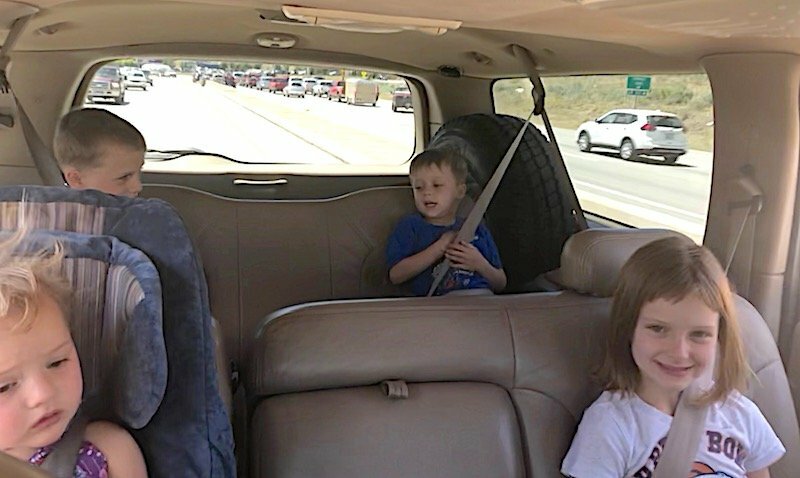 Yeah probably not going to do that with my little kids in tow… or maybe as a responsible adult. As the family vacation planner you should always be looking to the future. Creating a family travel bucket list will help keep the whole family inspired and looking forward to travel tougher. And looking forward to fun times together as well as remember the good times is actually good for your health. 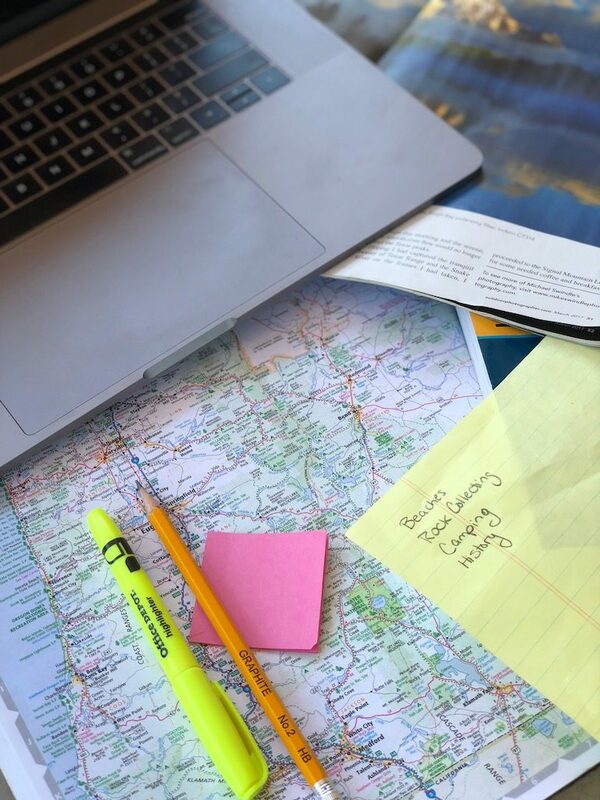 The actual planning process can be very stressful so keeping a list of destinations everyone dreams of will give you the motivation to power through and even enjoy the vacation planning process. Look on Pinterest, YouTube, google search, and magazines for inspiration. Or pull pull the globe for a fun lesson in geography. Keep your ideas organized in a folder, on the computer, in a notebook or on an Ap. Just don’t burry it. Once you are ready to start planning the next vacation. The first thing to decide is who will be going on this family vacation together. Will it be just immediate family? We travel with extended family so much that sometimes Charles and I just have to close the doors on certain trips and just bend together as a family. If you do decide to invite extended family or friends go ahead and ask them along. You can do this now and include them in the destination and travel dates decision. Or wait until you have dates and a destination to invite them to come along. Either way you will want to have an idea of the head count before moving forward with plans. Will friends be joining the fun? Its time to pull out the family travel bucket list or start a lively group discussion around a map about where to go. You will need a destination, which might be a country or a general route to follow through states if you are doing a road trip. When I plan a travel itinerary I pick a county – say Japan- or general area for a road trip – say Oregon/Washinton Coast. If I know I just want to go one place and stay put on a beach – Florida Keys for example- thats OK too. That makes some of the future steps easier. Once I have a destination established I wait for the more detailed itinerary till I decide on the specific locations and activities. Once you have decided on a location the next step is travel dates. The more people in the traveling group the more difficult this step will become. The destination may have an impact on this decision. Or you may have chosen the destination based on the time of year you plan to travel. Like the family beach vacation in the middle winter. First decide the length of the trip – days, weeks, months, forever? Get out the calendar and everyone’s schedule and try to layout a couple of dates that meet the requirements. This might not be possible but it will help with getting the best deals. DYI Family Vacation Planner, Travel Agency, Tour Company, Vacation Package? You might be an avid Do It Yourself family like we are. For just about everything including travel and this will be a given. Although, Charles and I have gone on a last minute all inclusive Hawaii vacation package when it popped up in my email. I know busy families like to contact a tour company or find and vacation package. One then you will need information to work with them to build and itinerary and outings. You may already have money saved and a budget set or just starting to creating a budget and savings plan. You need to know “How much will it cost for the trip?” There are books and a quick internet search for cost $ per day per person will be helpful to you. Make sure too include the cost of flights, transportation, cost per day for accommodation, cost per day food and activities and special experiences. Our budget is generally tight on family vacations so we plan on just one or two special experiences or outings. Things we have splurged on are whale watching, bioluminescent bay in Puerto Rico, a Hawk Walk in Ireland. This amazing trip will need to be payed for and likely from savings – money you already saved or money that you will be saving for travel. So you will need to start saving money, earning more money, collecting points and miles or a combination of all everything to get to your goal. Let each family member choose destinations and things to see that are important to them. Of course the whole trip can’t revolve around one member’s dreams so let each person choose one or two ideas. At this point you might not actually know the available activities so I have everyone choose a category. For example, our multigenerational trip to Costa Rica, everyone chose and animal they wanted to see. Charles was the sloth, mine was the cayman, my Dad the toucan, the 2 year old was a monkey and so on. Later, in the planning phase, we choose activities and accommodations based on the mostly likely place to see each animal. Other categories can be location or geography – beach, sand dunes, mountains. Activities – horseback riding, museums, art gallery, zip line. Start to build an itinerary based on the locations family members chose and wish list of activities. At this point, your itinerary will look like a rough outline of travel dates, destinations and some notes about transportation, accommodations and activities. You can use paper and pencil, word processor, cooperative looks like Google docs or Mac share, or an app like trip it. At this point there is just a bunch of notes to start forming the plans – like notes and an outline for an essay. Get out a map, the list each family members needs and desires and research things to do and see in the area. Compare to the list of ideas for the trip to everyone’s must have experience. 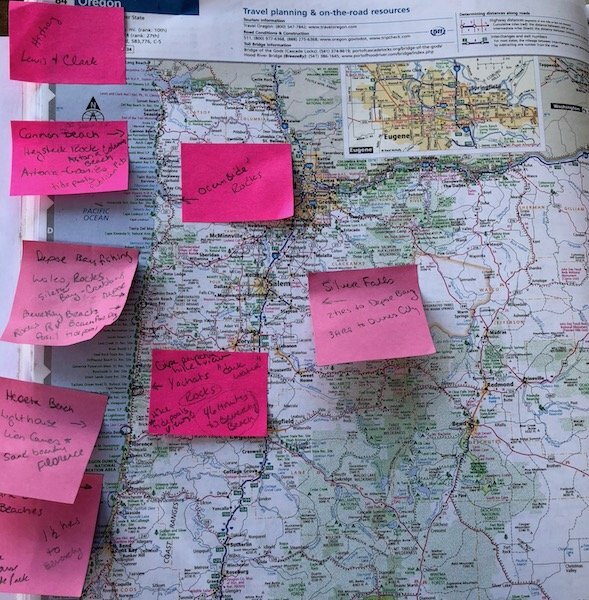 At this point use sticky notes on the map with the location and to do. With a physical map and notes right on it you can look at the flow and points where most central to the preferred activities. You can now decide the best route to take for the vacation. This might include one or more locations on your itinerary. Create outline of itinerary based on number of days and locations if you plan on moving around once you are at the destination or if you are planning an amazing road trip from home. Knowing the traveling group, destination, travel dates will help you know which mode of transportation will be the right choice. You probably will need a combination of driving, flying, riding the train or taking a boat to arrive at your final destination. To research and book flights good tools include google flights, Skyscanner, travelocity, kayak, and the airlines website. If you are using miles and points you will be looking at the airline’s website or researching about partner airlines. I search all the above sites and if I have time, I wait for a good deal and book when the time is right. You can enter alerts in various sites to let you know of a price drop. Then its time to book your travel! This for me is one of the most stressful parts of the family travel planning process! Hitting the buy button is really unnerving for me when I am looking at thousands of dollars in airline tickets and bring to get just the right itinerary to suit my family. The travel to your destination will anchor the family vacation so its time to start filling in a finalized itinerary. The destination, travel mode and dates will be the first parameters. Record the tickets information on the itinerary: flight number, company, depart, arrive, points FF numbers and login information. Armed with the outline of your itinerary in hand and notes on your map, its time to book accommodation. This might be once place to park yourself on the beach or many locations as your move around. You will face some challenges like the number of people in the group, your budget and the needs for each group member. There are 6 or more of us that travel together so one hotel room is often to small and against the rules. We have stayed in hotel suites, rented houses, rented an RV, stayed in hostels, tent camped, drove our own RV and more. On a trip to Canada, CanaDream was having a special on RV rental that ended up being the same cost as a van rental and hotels. Campgrounds- check at the national (forest service), state, city and county levels. And I always check reviews of the location on internet search, TripAdvisor, and more. I look at some good reviews and then head to the bad ones and see if any of it matters to me. Someone complaining about kids having fun – thats not negative thats my kind of place! I have cancelled more than one place where the reviews were of unsanitary or unsafe conditions. your itinerary. Dates, contact information, confirmation #, price, check in and out times. Print and save a copy of your confirmation and directions to the location. You will want a hard copy when your phone dies or something happens to the cell service and your trying to check in or verify the price. If you are on an amazing road trip your local transportation will will have your own car for local transportation. Otherwise you will need a way to get around and see this on your amazing adventure. Check the cancelation policies. Car rentals in the US tend to be very flexible and not even gather credit card information. Its worth booking right away and canceling later if you find a better deal. And don’t forget to write it all down in your itinerary and print hard copies. For me this is where the fun starts. Charle loves flying and looking through pictures of really cool accommodations. Its actually stressful for me and I am relieved to start moving on planning things to do and see on vacation. Look back at the list of what everyone wants to see and do and the map of all the locations. Research fun activities within these parameters that you have. Make sure to schedule recovery day after a long travel day or a big adventure. Something a little more low key and relaxing. Of course traveling on a budget you must take cost into consideration. We generally have one day or activity we splurge on that is more expensive and be really frugal on the other activities. Thats why we love playgrounds – free fun! If you can afford a formal tour, its a great way to fit the things in you want to see and get a locals expertise on the area. Book any tours or plan activities and record important information on the itinerary. Have a backup plan and extras on the list. On my itinerary I have the information about the planned activity for the day and a list of back up activities. My back ups are other things that seem interesting and options for inclement weather. Add you ideas and any reservations to your itinerary for the day that it is planned. Don’t forget to bring out hard copies of the ideas. When traveling with kids, meals, snacks and rest stops have to be planned. Leaving a plan for dinner until everyone is hungry is a recipe or disaster. Take into account will you will be traveling. If you will be in the car you can take more supplies than if you are traveling by subway or foot. In general we like to plan breakfast at the hotel, rental, or in our RV and lunch is a packed picnic. This is where notes about grocery stores come in handy. Grandma and I made sandwiches on the tailgate of our rental car almost every day on our Ireland trip. Dinner is where we are more creative and might be dinner at a restaurant, home cooked at the RV, take out on the beach or with friends we are visiting. Thats our rhythm but of course we are flexible too. And I always have snacks on hand to head off meltdowns. If we are out sightseeing I carry a backpack or a bag on the stroller with food and drink. Think about your rhythm and budget. Cooking at your temporary home (even in a hotel room) and on lunch on the road is cheaper and sometimes quicker than taking a crew of 4,5, 6 or more in a restaurant. Don’t forget with a big group you may need reservations. Write notes on your itinerary about restaurants, picnics, street vendors and even 7-11 in Japan. If you get caught and need to find a restaurant fast, TripAdvisor has a cool feature that will let you know the highest rated restaurants near me. At this point most of the itinerary should be filled in. You can keep the file and add more details. Make sure to have all the details in a location easy to access on your family vacation. You will need the details to plan each day and you can add notes about each location. You notes will already be organized for your arrival home. Since your travel is coming soon you need to start preparing all of your plans and documents. If you are traveling internationally and need a passport you need to start the process right away. Wait time for the US can be 2 to 3 months. Follow this process for US passports. Each country has its own entry requirements for the validity of passports. Some countries require that a passport be valid for at least six months from the date of entry others in Europe require 3 months. Some countries require visas for people to enter the country. And the requirements for each country are different so make sure to check visa requirements and get one if necessary. Travel vaccines or immunizations are shots that travelers travel to areas of the world to protect them from illness. Travel vaccines fall into two categories, recommended and required. For example, some countries in Africa and south America require proof of the yellow fever vaccine before entering the country. The vaccines you need to get before traveling will depend on where you plan to travel and your own health. Check the World Health Organization or the CDC in the US for more information. Insurance coverage changes when you are traveling. Your family may need some additional coverage for travel related emergencies and expenses. Double check with your health and car insurance companies what will be covered during your trip. Then decide what additional covers you need and arrange for travel insurance. Roadside services such as AAA or RV insurance are useful when traveling by car or RV for your family vacation. Buy family travel insurance that will cover any travel related emergencies that could arise. Short term travel insurance is available to purchase and covers expenses of family travel such as sick kids, trip interruption or cancellation, evacuation, car rental. Here is a good review of family travel insurance. In this digital age you still need to have hard copies of important documents while traveling. Even when on a family vacation close to home or a road trip you should have hard copies of important travel documents. The US state department recommends making 2 copies of each in case of emergency. Hopefully will never need to visit and embassy to replace a passport but activities with kids might require birth certificate. Even something as simple as taking our 8 year old to get her ears pierced in our home state required a birth certificate that we didn’t have and ended in tears. Here is a list of important travel documents that you should have copies of on a family vacation. You may not need all the above important travel documents. If you are on a road trip close to home you won’t need a visa but you will need birth certificates and drivers licenses. Before you leave home make sure you think about and have plan for phone and internet access. Depending on where you travel cell service coverage and internet will vary in availability and reliability. Hotels frequently have internet access as well as internet cafes and libraries. In an RV, camping or boat internet access may not be available but you can arrange for mobile options before leaving home. A family vacation will require money and sometimes reloading the funds. Although you have saved money for travel you should not travel with all that cash in hand. Take a small amount of cash that you might need and some for emergencies and figure out how to access money while traveling on your adventure. As far as I know you can still get traveller’s cheques but with so many other modern options, I don’t know anyone who uses these anymore. Credit cards, debit cards and prepaid currency cards are much better options. ATMs are everywhere and a much better way to access funds on your vacation. Prepaid currency cards are another option. One more note – make sure you have enough money in the correct bank account. You don’t sent to be stuck on a family vacation trying to access money and no money in the bank! Preparing your home life for your departure is important too! So don’t forget to prepare your home and regular life. Make arrangements for any home maintenance such as lawn and garden care. Let your neighbors know of your family travel plans and any people that might be coming by the house to help. Make sure bills are up to date and automate anything that needs to be paid while away. Turn on auto response on emails. I am actually terrible at this step and put it off way too long. Good house sitters or pet sitters are hard to come by and their schedule can be really full. Try out a pet sitter before you leave on an extended vacation. A couple of days or walks to see how they interact with the pets. On an 3 week vacation to Costa Rica we were scrambling to figure out if the dogs were taken care. Not something you want to worry about on a fun family vacation. I have been traveling forever and I can tell you a little preparation goes a long way in packing for a family vacation with kids. Back in the day, I stayed up late the night before travel, threw some clothes in a bag and headed off the airport the next day. When I transitioned to mom / family travel coordinator that method didn’t work anymore. Instead of waiting till the last minute I started to ask, when should I start to pack for a family vacation? It seems that 2 weeks before the family trip is a good timeframe to start planning what to pack. Although longer trips might require purchasing more supplies and you should get to work much sooner. Start by thinking of the number of days, the weather, the activities and the dress code for each activity. Will you doing laundry along the way? Will stores be available or do you plan to buy new clothes while on vacation? You should plan on doing laundry based on your accommodations. After some experience in large family travel I started following a standard packing checklist. I fill in the number and type if outfits and check off as they get packed. As I get the packing finalized, I use sticky notes on top of each pile with notes about missing items. The optimal situation is If you have a dedicated space to start packing. I start laying things out in the guest room on the bed. When this room is not available I have set up a long table in a space that is off limits to kids. The key here is a separate space and off limits to the kids. Its madding to lay something out and turn around and the piles are mixed up or a favorite shirt is now being worn and sticky. 2. Bags for enroute travel. Each kid has a carry on bag or backpack with extra clothes, jammies. For road trips I might separate the jammies into a bag that I have easy access to. 3. A cooler with snacks and food for travel. Depending on the amount of time we travel this generally includes lunch or other meals too. Start with packing the luggage that will hold the majority of your clothes and the necessities. I love cubes and ziplock bags for separating clothes into kids, outfits, or days depending on the plans. After that I move to the en-route travel bags. Keep an extra pair of clothes handy in case of spills and accidents. Or to wear the next day if on your going on a road trip and have an overnight. Also, keep a pair of jammies handy. Even if you are night planning to travel at night a delay can happen and you will be happy to have jammies at bedtime. In the excitement of planning for your upcoming family vacation don’t forget to plan for your return. When you arrive home exhausted from your adventure, having things in order at home will make your transition back to normal life much easier. Close up windows and lights off – one time my neighbor came to turn off the 6 lights! The night before travel double check your flights, check in online, check the first night accommodations, gas and fluids in the car, check the the weather. More than once, I failed to check the weather when a big winter storm was slamming right in my travel path. We Most of all get everyone to bed early and have a good nights rest before heading out on your family travel adventure! Racing around at the night before traveling just stresses the whole family out and makes it hard to rest – I know. The kids are already excited and maybe a little nervous so slow down and set a relaxed rhythm for the night. 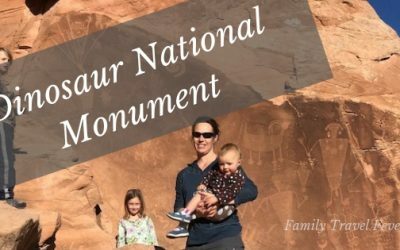 After reading through this whole comprehensive guide to planning family travel, I hope you are ready to get going on your next trip! 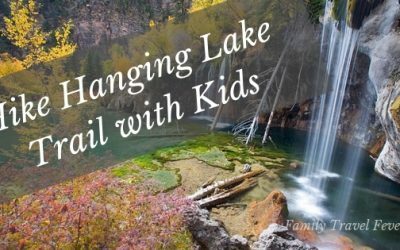 How do you plan for a family trip? What are your favorite tips for planning family travel?